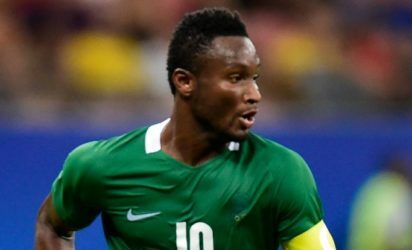 MIKEL Obi has again disagreed with Nigeria coach Gernot Rohr for the second time this week when he insisted he is not being shut out at his club Chelsea because he featured at the recent Rio Olympics. Nigeria skipper Mikel said in a statement that Chelsea manager Antonio Conte supported him to feature at the Olympics and there is mutual respect between he, the manager and the Nigeria national team. “I’d like to clarify that the recent media claims that I’ve been punished by Chelsea FC for participating at the Rio 2016 Olympics are completely inaccurate,” read the statement. “Unfortunately comments made by Gernot Rohr before the 3-1 win over Algeria were both mistranslated and taken out of context by the Nigerian media, as English isn’t Mr Rohr’s or much of the Nigerian media’s first language. “To be absolutely clear, Mr Conte and Chelsea were always fully supportive of my captaincy of the Nigerian team at Rio. “The manager gave me his full blessing to participate at the Olympics, and even encouraged me to bring back the gold medal – something I spoke to the media about at the time. Before the match against Algeria on Saturday, Mikel told the local media he would accept a draw with the North Africans, while Rohr made it very clear the Eagles need to win at home to stay on course for Russia 2018.